There's no gun quite as ubiquitous as the Glock, thanks to movies, documentaries .and video games even people who don’t shoot have heard of Glock and most people would be happy to hazard a guess that any black polymer pistol is a Glock. They are so universally recognised and valued for good reason, they're common, they're relatively cheap and they are extremely reliable. They are a fine choice as an everyday carry gun especially the smaller models like the Glock 26 and this compact model is especially good if you're going to be carrying inside the waistband. 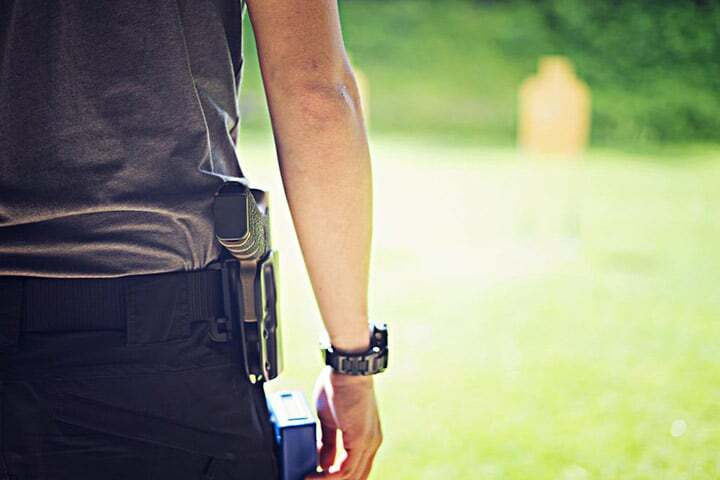 The glock 26 is often used as a backup gun by law enforcement personnel as a perfect compliment to a full sized pistol carried openly on a duty belt. For civilian concealed carriers the g26 can make a perfect primary weapon, despite its diminutive size it still has a 10 round capacity, that’s three more rounds than a full size colt 1911. Carrying a compact pistol like the Glock 26 inside the waistband is going to be far more comfortable and straightforward than carrying a full sized pistol. Here are 5 of the best IWB holster for Glock 26 on the market for you to take advantage of this awesome pistol. 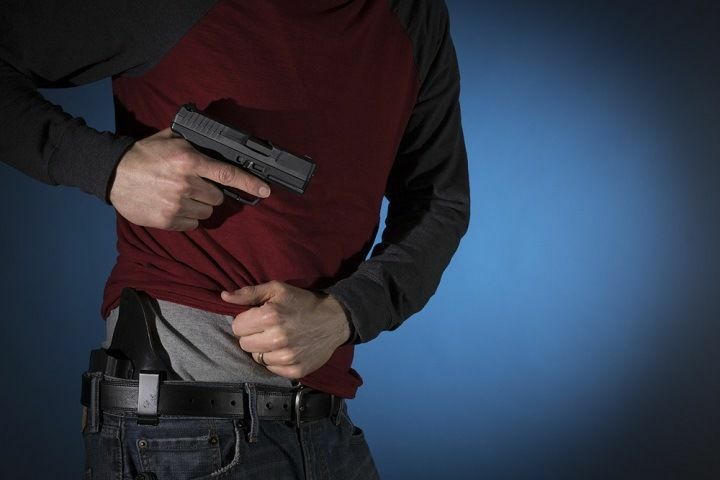 How to Choose the Best Concealed Carry Holster for Glock 26? If you are feeling overwhelmed by the multitude of holster options for the Glock 26, remember that the point of concealed carry is for self defence or the defence of people around you from violent threats. So you may have a bit of a compromise to make; you can carry in case of an emergency and accept some minor discomfort or not carry and be unprepared. With that said you should look for as comfortable carry solution as possible because you will inevitably end up not carrying as often if you are uncomfortable. 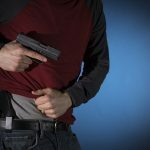 Personal preference, and local laws, will dictate exactly how, where and when you carry but for the most part carrying inside the waistband can be comfortable in just about any attire and is easily concealed without sacrificing too much comfort. It's a fairly standard design made from kydex and featuring a belt clip and adjustable retention. 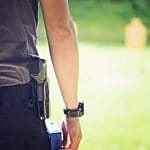 The kydex is non-porus and doesn't absorb any moisture, so you don't have to worry about how it'll smell at the end of the summer or if it's going to lose its shape or form like a leather holster might if it gets exposed to the rain. There's literally no maintenance required when it comes to kydex, all you have to do is wipe it down and make sure the lint is not building up into it too much. 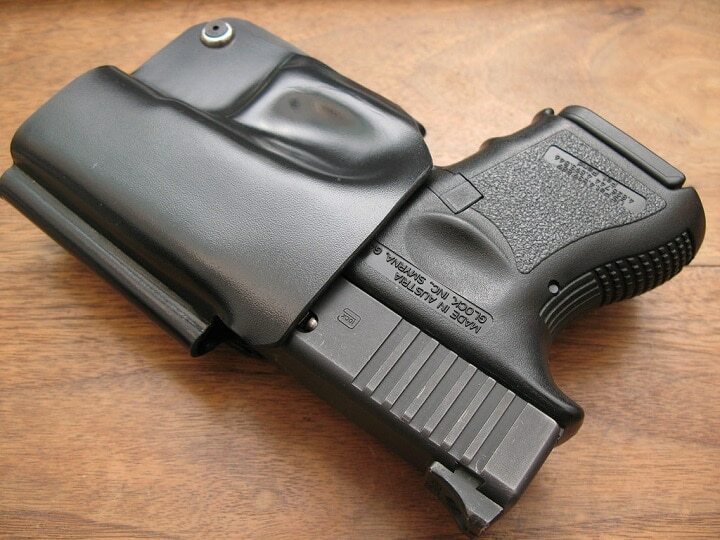 This is an excellent kydex holster for Glock 26 that you can depend on. 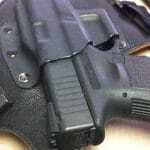 This awesome holster also fits for Glock 19, Glock 43, 1911...etc. You'll never regret buying this holster, even if it is hard to conceal. Just keep that in mind before you order. If you like the old school designs, this is a great handmade leather holster from a good company that makes tons of different holsters for different guns. This is their tuck-n-go style holster made for inside the waistband carry in just about any position. It's made from genuine leather so you have to be careful if you're going to wear during the summer exposed to a lot of sweat or get caught in the rain, but otherwise it is a great quality handmade holster that is going to last a long time with proper care. The metal clip is sturdy enough to hold it to your belt securely without any worries, but it is also going to scratch anything you come in contact with, so make sure when you lean up against your truck you don't ruin your paint job. Handmade leather holsters can often cost several hundred dollars but this is a great alternative if you don't want to wait for a custom order or simply don't see the need to spend that much money on a holster. This glock 26 iwb leather holster certainly gives you as much performance as the average concealed carry permit holder is going to need to comfortably carry their firearm throughout the day. This is a very interesting holster from a smaller manufacturer that makes holsters for the larger brands of guns like the Glock 26. This is essentially the same sort of holster as an Alien Gear but uses a single layer of a proprietary suede backed polymer with a layer of kydex for retention and two belt clips to keep it on your hip. This suede backed polymer material is perforated for airflow and breathability to avoid sweating and the polymer construction requires no maintenance and very little cleaning to keep it functional and in good condition. This holster is great for people who live in an area of the country that is hot year-round or want a dedicated summer carry holster for inside the waistband that controls sweat and which you don't have to worry about exposing to water or rain. 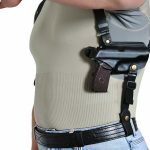 This holster is designed to only be used on strong-side hip and includes a ton of innovative features that are unique to it. Things like fully adjustable clips and a pebbled surface inside the holster to make drawing the gun easier without sacrificing retention round out this holster and make it worth the high purchase price. If you like specialized and high-performance gear, this is certainly the holster for your Glock 26. With all the handmade kydex and leather gear, moulded plastic holsters tend to get a bad rap but they definitely have their place on the market. They are virtually indestructible, extremely cheap, and can be picked up without a waiting list and from most major big box stores. If you have a common gun like the Glock 26 you can rest easy knowing that the vast majority of holster manufacturers are going to stock some sort of injection molded plastic holster for you to carry inside the waistband. If that’s the kind of holster you are after this product from Blade Tech is a great option. The injection molded plastic is sturdy enough and completely rigid to support the weight of the gun and while it lacks any adjustable retention it does hold a firearms securely without you having to worry about it flopping around or falling out. The injection molded plastic is almost indestructible and you don't have to worry about breaking it. Some people of larger build may find extremely rigid holsters to be uncomfortable and this will certainly poke your belly if you decide to carry it in the appendix position. It's certainly slim enough and designed so that if you decide to carry strong-side hip, it won't dig in or print like many of the cheaper lower-quality injection molded plastic holsters tend to do. If you're not sure you're going to like inside the waistband, give this holster a try because it is much cheaper to experiment with this sort of holster than it is with a handmade leather or kydex option. Bulk is bad - The goal of concealed carry is making sure the gun can’t be seen. If you get a full sized holster that is overly bulky, it won’t be concealed very well. Look out for overly bulky designs that will impede you in your effort to hide the gun. Especially in the summer when you’re not likely to be wearing a coat or heavy shirt. Cover the Trigger Guard - You need to be absolutely sure the trigger guard is covered. One of the biggest factors contributing to negligent discharges with pistols is poor discipline hile drawing and reholstering pistols carried in condition 1. To reduce this risk always look for a holster that properly protects the trigger. Be Wary of Clips - Clips have a notorious ability to fail when you need them to stay on your belt. If the clip fails or does not attach to your belt or pants securely enough your holster is going to be attached to your gun when you draw it. Only buy a proven design and use it properly, or get rid of clips altogether and go for belt loops. 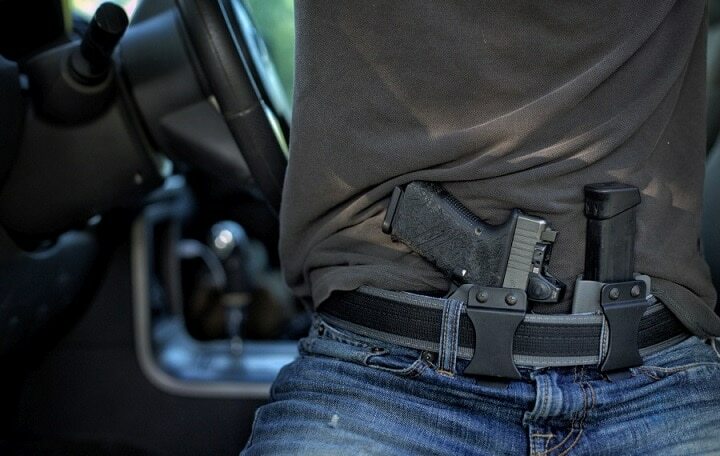 Your Belt is Important - You’ll need a good sturdy belt to support the weight of your gun. The Glock 26 isn’t a terribly heavy gun so you won’t need a “gun belt” but a thin cloth belt won’t do either. Too Much Retention is Bad - Make sure you don’t crank down the retention so hard it’s difficult to draw. This will stress the clip on your holster and make drawing quickly and properly almost impossible. Get a holster with adjustable retention and only tighten it enough to keep it in the holster. Carrying a Glock 26 is easy because the gun itself was designed as a backup or concealed carry gun and is of a suitable size for easy concealment on your person. The aftermarket support from Glock is better than any other firearm manufacturer in the world and there are a ton of different inside the waistband holsters for the Glock 26. The five listed here are the best IWB holster for Glock 26 and you can't go wrong if you choose to go with one of them. Whichever holster you choose, make sure you try it on and practice carrying it and have it on you when the time comes that you truly needed.